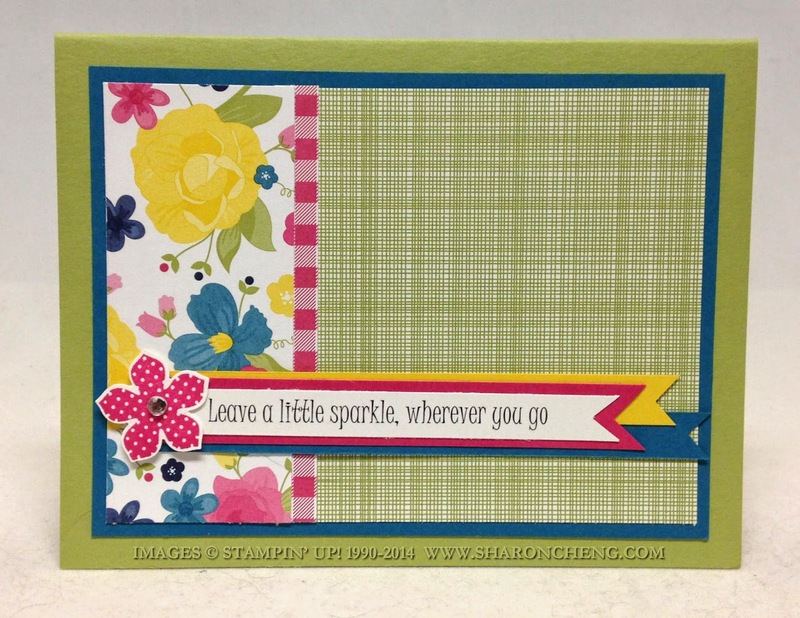 This baby card was made using Stampin' Up! 's Zoo Babies stamp set and Lullaby Designer Series Paper. Hello Honey, one of the new In Colors, was perfect for the card base. I designed the card for our June demonstrator swap. While I normally don't do a project with fussy cutting for a swap, it went relatively quickly. 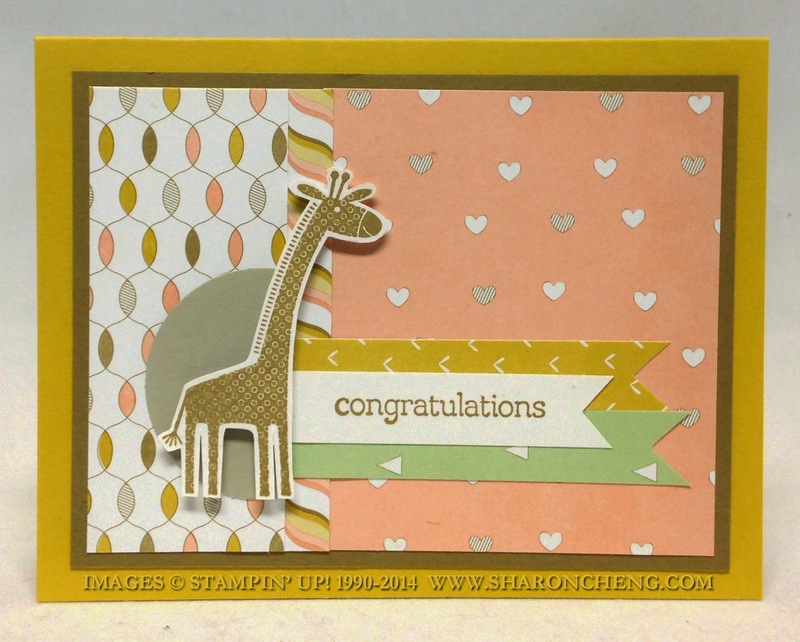 Here is an In A Minute video tutorial that shows you how to fussy cut around designs like this Zoo Babies giraffe. Fussy cutting is cutting around an image like the giraffe on this card. The banners go quickly when you use this technique for cutting the ends. Here is an IAM video tutorial showing you how to cut the banner ends. This is another card I made that uses the same layout. What is the next project you want to make using fussy cutting or banners?